I made a discovery a few months ago: I found a super yummy ancient grain called Kamut®! Originally cultivated thousands of years ago in Egypt, I found Kamut® Brand khorasan wheat at my local store while I was searching for new grains to supplement my veggie plates. As I wandered through the bulk section, I came across some very large berries called Kamut. I didn’t know what they were or how to prepare them… but I was intrigued. I bought a small batch – and my culinary adventure began. 1) Kamut berries are about twice as large as traditional wheat berries and they have a richer, nuttier flavor. 2) Kamut does contain gluten, but some people who have a wheat sensitivity (not a wheat allergy or Celiac disease) can tolerate Kamut wheat much better than traditional wheat. 3) Kamut is a protein powerhouse; it has 40% more protein then traditional wheat. One thing I LOVE about Kamut wheat is that it is so versatile. Kamut’s texture is slightly chewy and you can use the cooked berries with other veggies as a side dish or in soup as a substitute for noodles. Supermarkets are beginning to sell traditional items like pasta, puffed cake snacks, and the actual Kamut Brand khorasan wheat flour so we can make pizza crusts and bread! 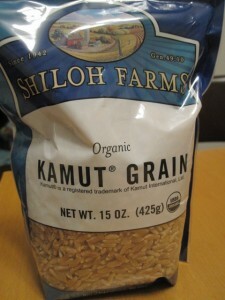 Aside from its delicious taste, Kamut is a nutrient-rich grain with high concentrations of minerals. One 3.5 oz. 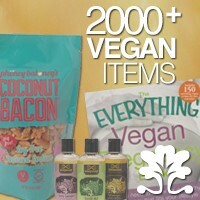 (100g) serving provides 36% of the US RDA of magnesium, 37% of the US RDA of zinc and a whopping 14.7g of protein. My favorite way to prepare kamut is this awesome recipe for a kamut, squash and porcini mushroom dish. I am so excited about the new depth this ancient grain gives to my modern recipes. Plus, it’s packed with protein too! If you’ve already discovered kamut and you have a favorite recipe, please send it in. We can all learn from your discovery!